This module adds a "Products from the same supplier" block on the detail product. like the native product categories module. 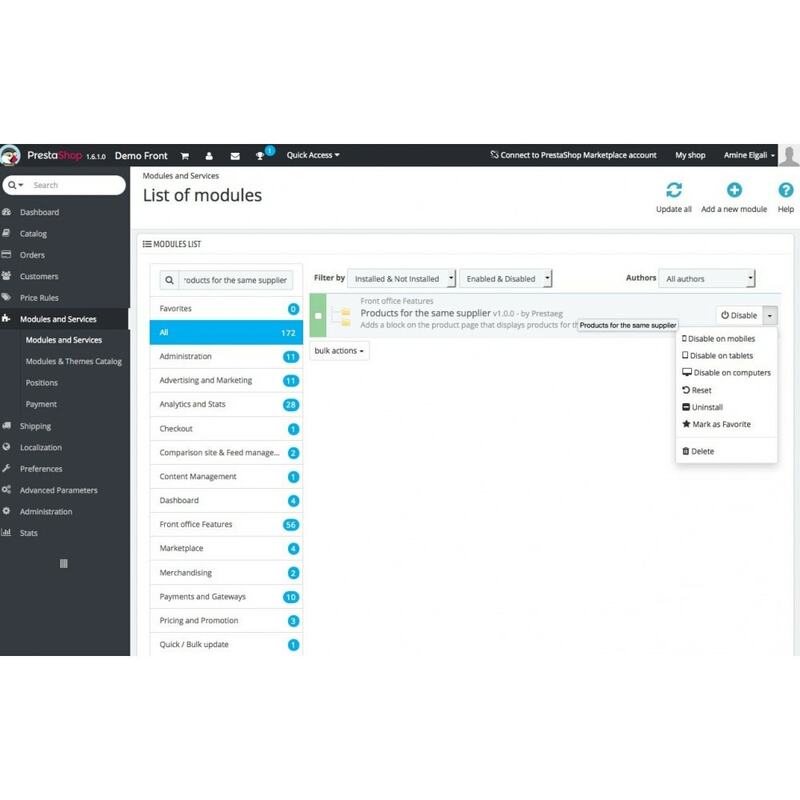 This module allows you to quickly show customer other products for the same supplier. - View the block "Product for the same supplier" in a detail page. 3) Install the module "Blockproductssupplier"
4) Go to page modules / positions in your Prestashop Admin to set the order of appearance Blockproductssupplier.